Research data is the information, records and files that are collected or used during the research process. Examples of research data may include notebooks, recordings, survey forms, specimens and other samples, photographs or computer code required to reconstruct meaningful information. Research data does not include references, literature reviews or the end product of the research undertaken such as a published article. 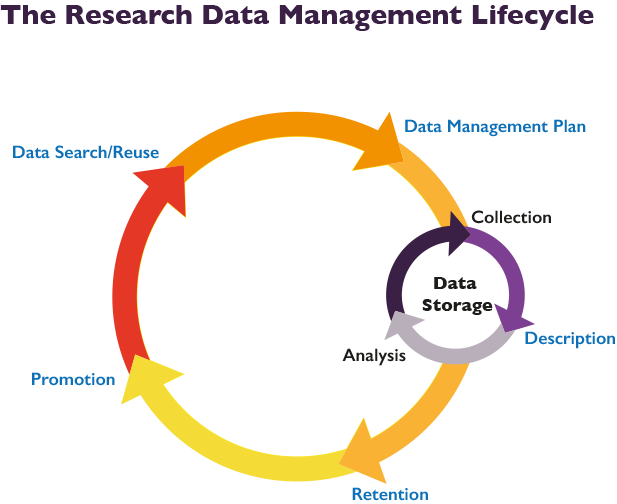 Grant and funding bodies require research data to be managed through its lifecycle. You may need to provide information about the data or the data itself, for example some journals require it or you may want to patent an invention. Creating a research data management plan at the start of the research project is the simplest way to save time in the collection, description, analysis, and reuse of the data. Effective management and documentation of research data means you can verify your research results, replicate research and provide access to data.